Leadership is instrumental to resolution of collective action dilemmas, particularly in large, heterogeneous groups. Less is known about the characteristics or effectiveness of leadership in small-scale, homogeneous, and relatively egalitarian societies, in which humans have spent most of our existence. Among Tsimane’ forager-horticulturalists of Bolivia, we (1) assess traits of elected leaders under experimental and naturalistic conditions and (2) test whether leaders impact or differentially benefit from collective action outcomes. We find that elected leaders are physically strong and have more kin and other exchange partners. Their ranks on physical dominance, kin support, and trustworthiness predict how well their groups perform, but only where group members have a history of collaborative interaction. Leaders do not take more of the spoils. 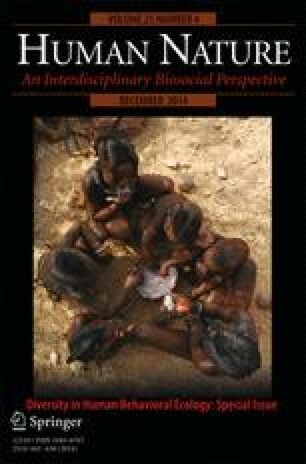 We discuss why physically strong leaders can be compatible with egalitarianism, and we suggest that leaders in egalitarian societies may be more motivated by maintaining an altruistic reputation than by short-term rewards of collective action. We thank the Tsimane’ who participated in this study, especially the communities of Ton’tumsi and Virje (names changed to maintain anonymity). Montserrat Soler, Curtis Atkisson, and two anonymous reviewers provided helpful comments on an earlier draft. We are also grateful to the Tsimane’ Health and Life History Project personnel. Funding was provided by grants from the National Science Foundation (BCS-0136274, BCS-0422690, and DDIG-0921429) and National Institutes of Health/National Institute on Ageing (R01AG024 119–01).